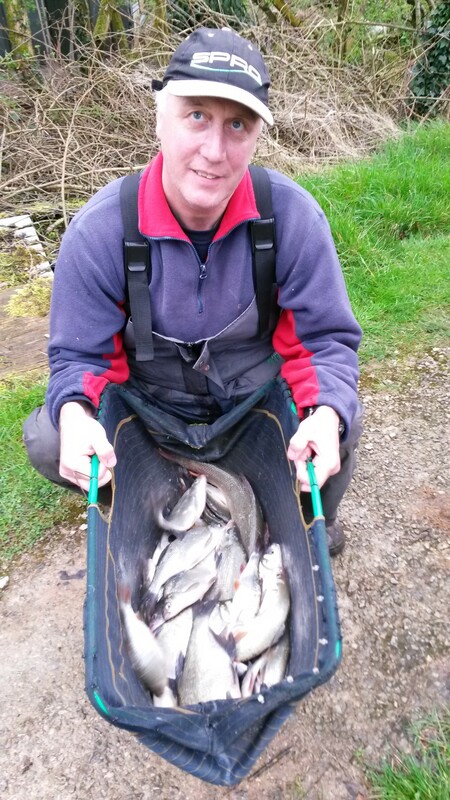 peg 17 , 43 lb mixed bag. 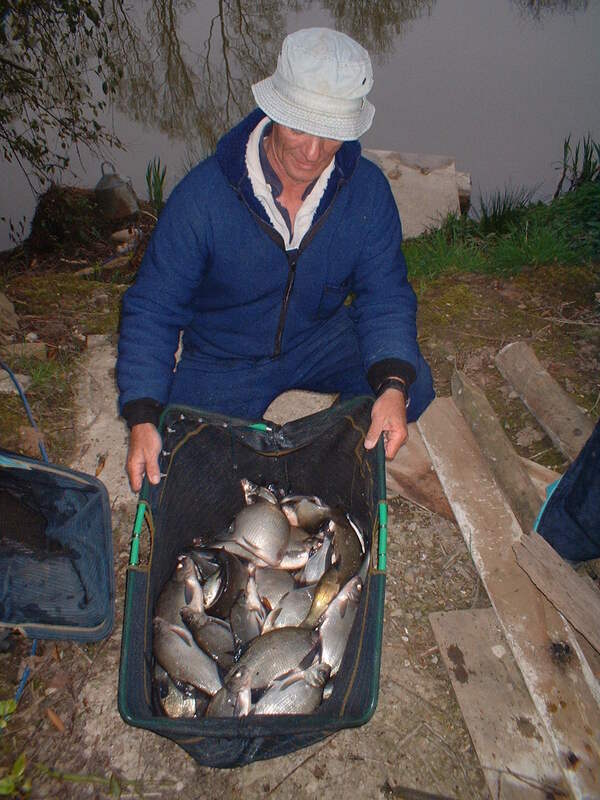 Lenny won the match ,43lb mixed bag from peg17. 42 lb from peg 20 . 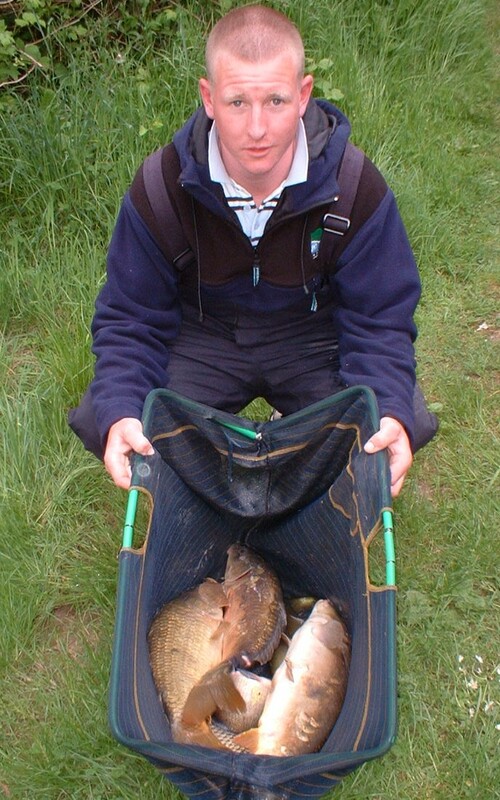 Mark Smith came second on the 6 th with 42lb from peg 20. Take the path on the left from the car park; this will lead you to the doughnut lake. 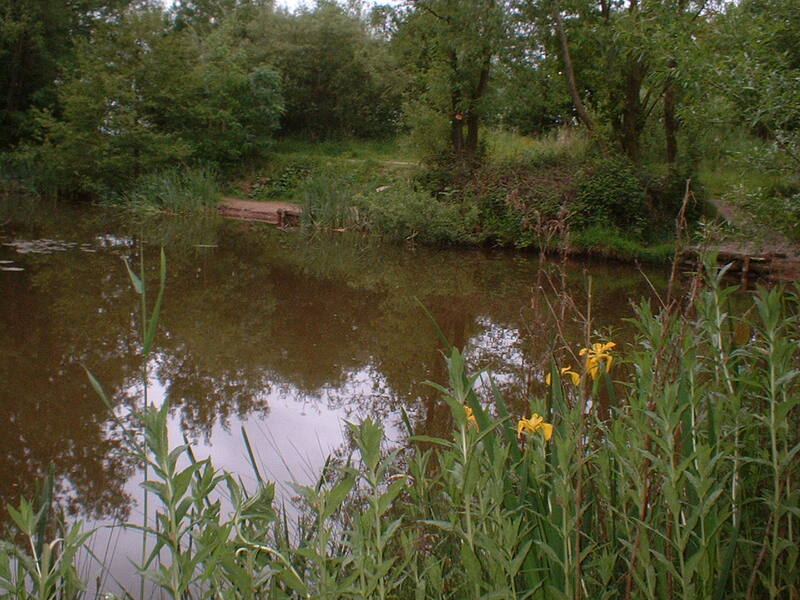 It is a a very well established water full of character, reed beds, flowering lilies, most certainly not your modern carp puddle.The doughnut is full of fish you really don't know what you will catch next. Barbel were introduced to this water and the willow in december 2006 and they are thriving, growing fast, fighting hard and now run to 5 pound plus in weight. 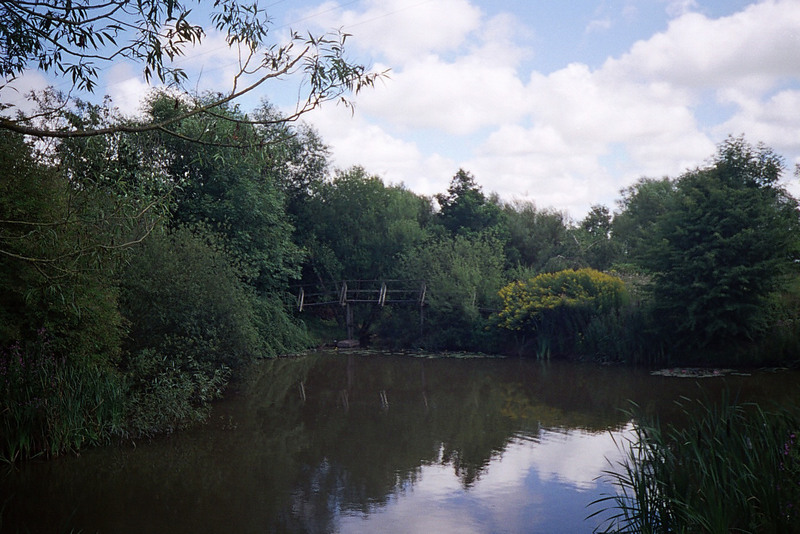 The carp run up-to the 7lb bracket so you should land them on you're match tackle. All methods will produce but like the willow the pole is most popular, but of course the waggler and feeder have their place too. 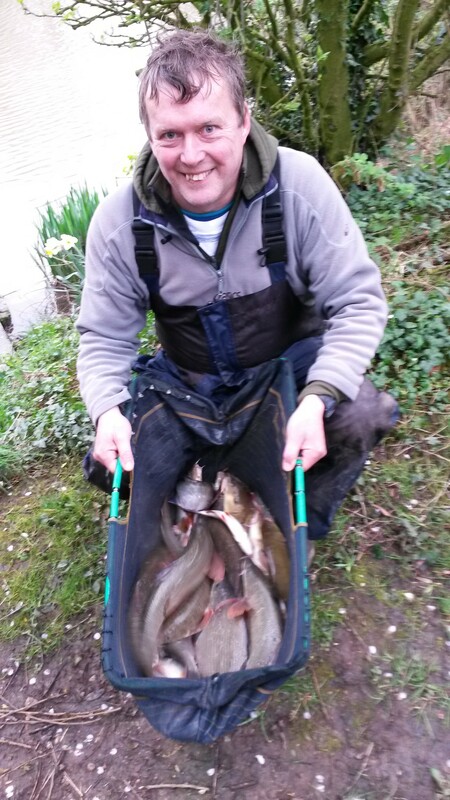 The wider pegs like 8, 9 lend themselves to rod and line tactics. 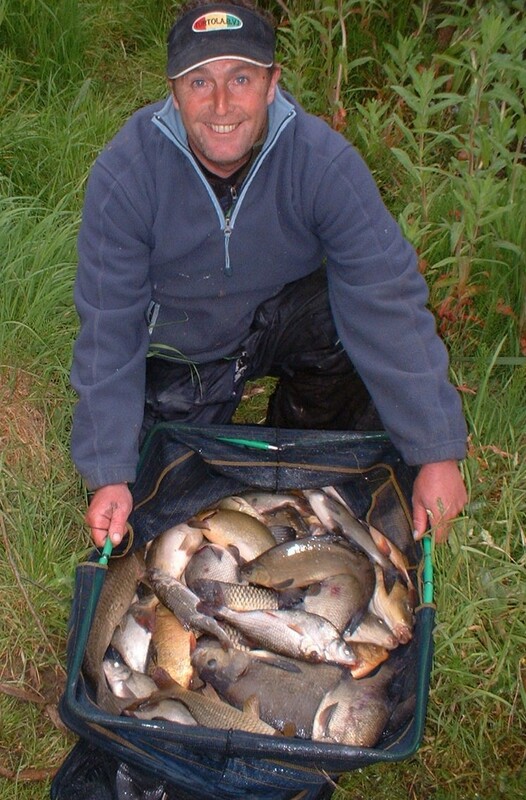 In the warmer summer fishing down the margins works well, just using the top 3 or maybe top 3 +1 of you're pole, so you're just on the shelf. Feed little and often to keep the bites coming! pellet , caster maybe corn. 30 pound + pleasure bags. depth: A near and far bank ledge 2ft deep, 6 foot deep down the track. special features: Two distinct shelves , with about six foot of water down the track.